"Best Water Garden - The Water Garden aquaponic kit by Back to the Roots. Bring the garden inside with the Back to the Roots Water Garden. 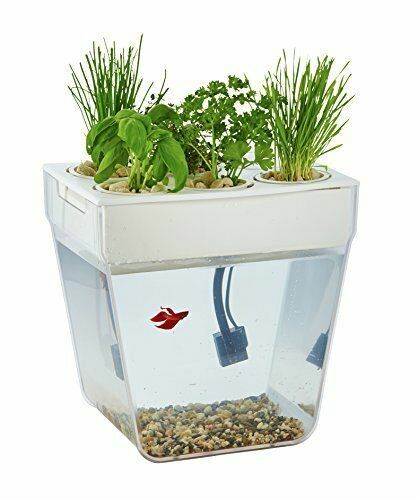 This mini aquaponic tank is a closed-loop ecosystem - the betta fish waste fertilizes the plants on top, and the plants filter and clean the water for your fish - not your average betta fish bowl!"